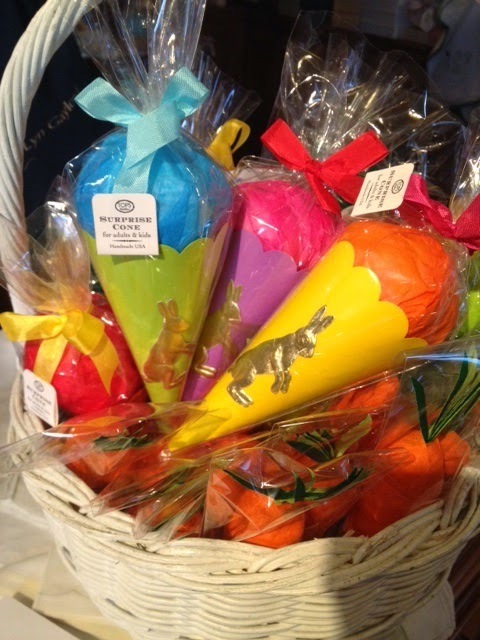 Get out your bonnets and white gloves, another Easter will be here before you know it. 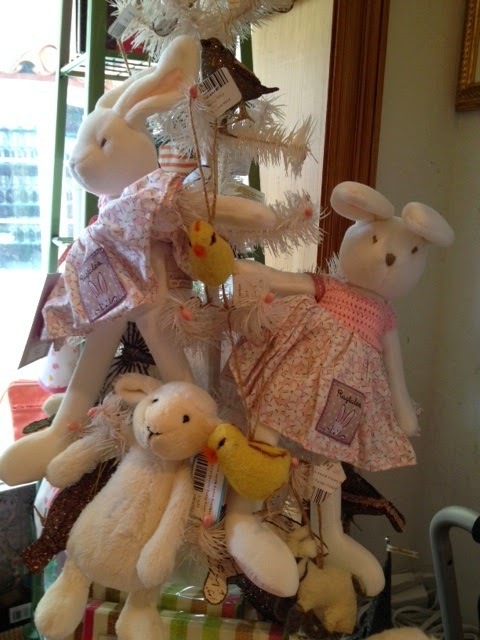 Since we love Easter so much at the Boutique, every corner of the shop has a bunny, lamb or Easter egg waiting to go home with you. 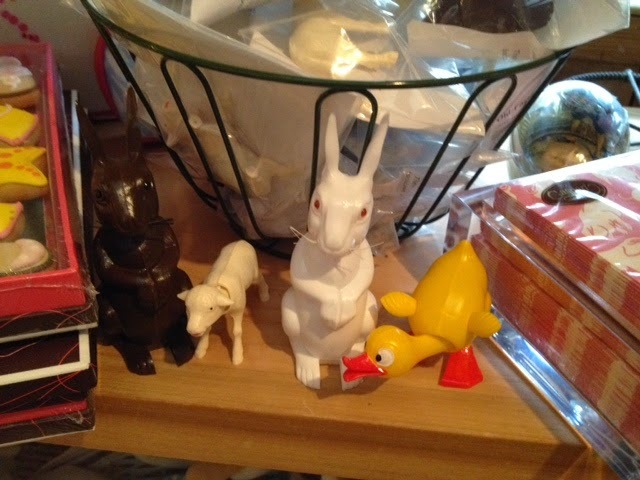 Of course, we have the cutest (and most delicious) chocolates for the Easter Bunny to leave at your house. 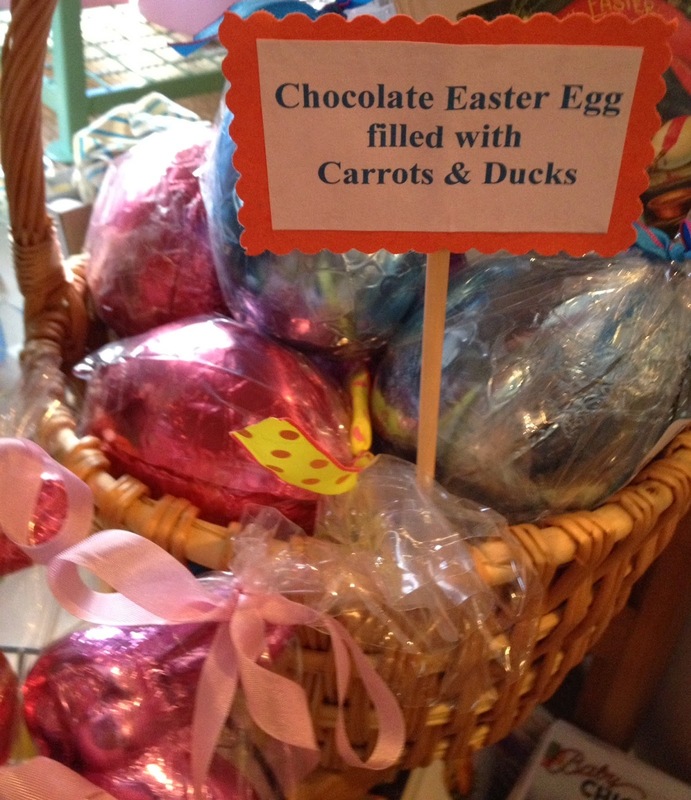 There are milk chocolate eggs that open up to reveal little white, milk and dark chocolate carrots and chicks. 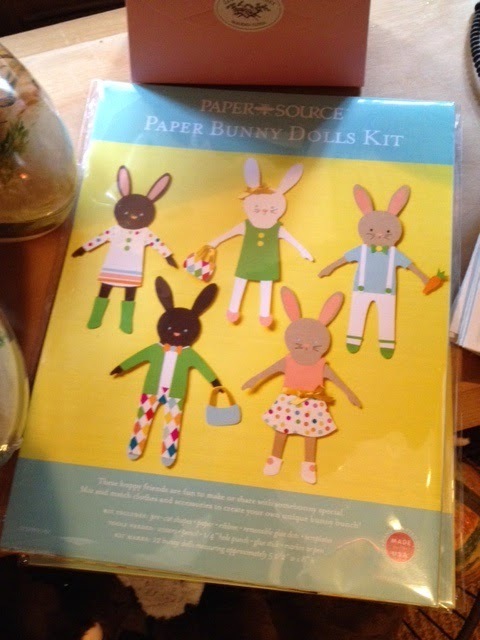 Little pastel foil-wrapped chocolate bunnies wait patiently in a basket while adorable bunnies from Maison Bouche are nestled in adorable printed boxes. 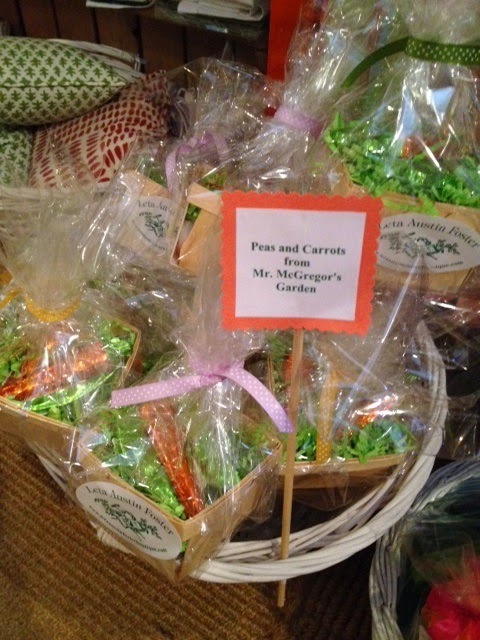 My personal favorites are the chocolate peas and carrots, picked in Farmer McGregor's garden, of course, that are sold singly and also in little farm-stand baskets. 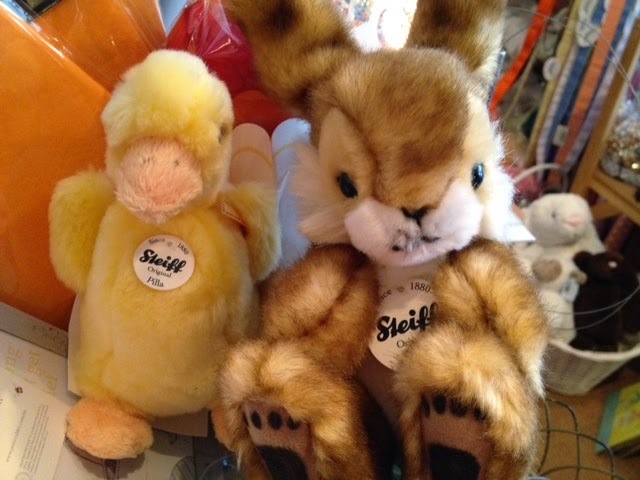 These make great table decorations ! 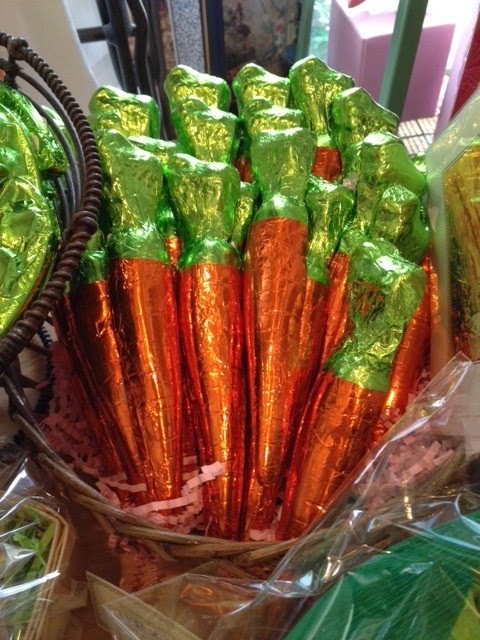 Don't forget your Surprise balls, in pastel colors, naturally.....or for a change, a Surprise cone or carrot. 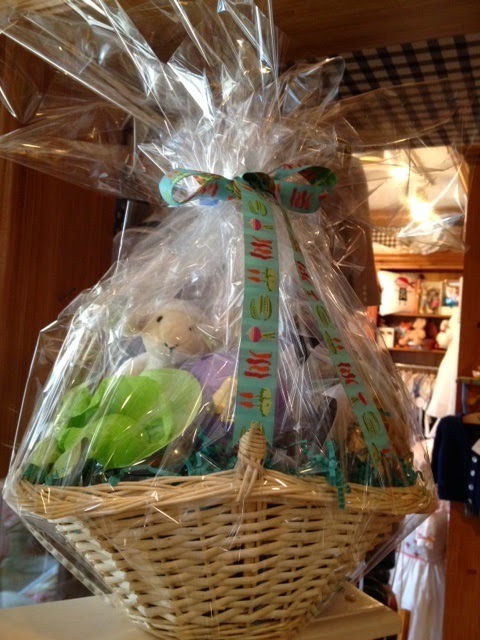 In addition to Surprise Balls and chocolates, we've collected all you need to build your own Easter baskets....the basket itself, Easter grass in assorted colors, stuffed bunnies and lambs, little books, paper Bunny dolls, and German nodders, and just in case you run out of time, we've put together some Easter baskets for you complete with a stuffed bunny, a surprise ball, and a few little toys. 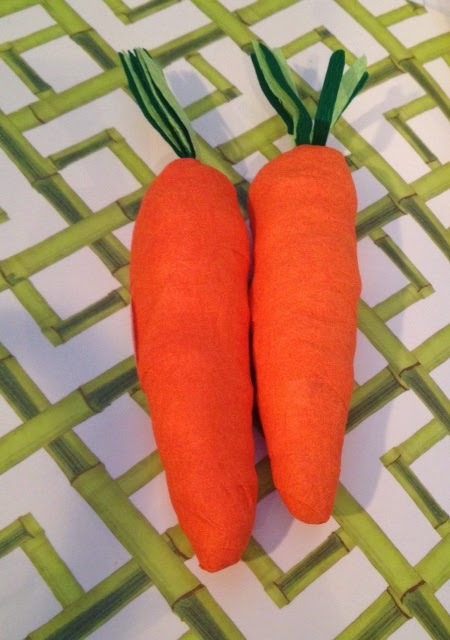 We will leave it to you to add the yummy edible items. 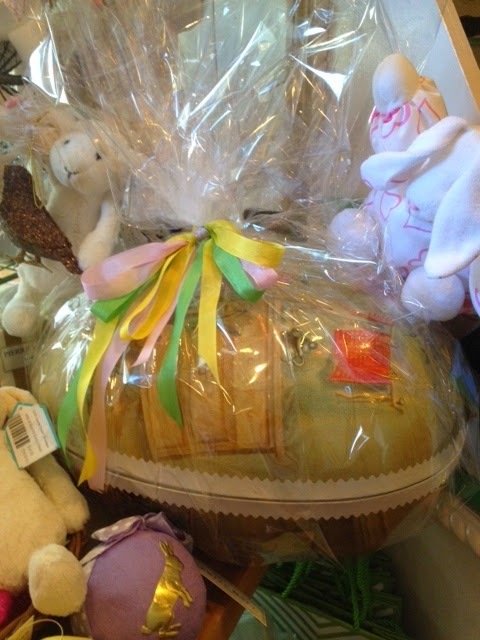 We've also made up two special giant German Easter Eggs (one for a boy baby and one for a girl baby) filled with a Porthault bunny, a bib and Santa Maria Novella baby shampoo and baby lotion for your favorite little lambie-kin. 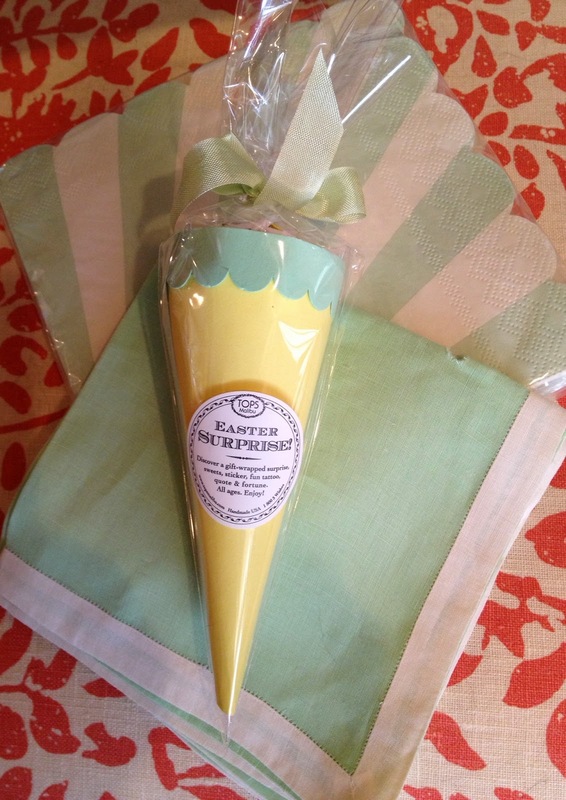 Don't forget to pick up some striped Spring paper napkins and mini cones for your table. 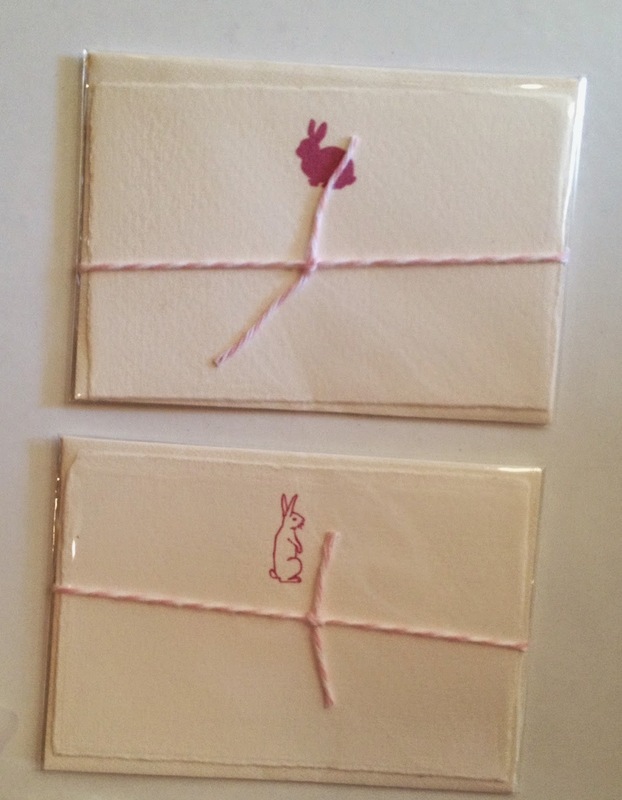 This year, we even found such cute bunny cards that can be enclosures or place cards. 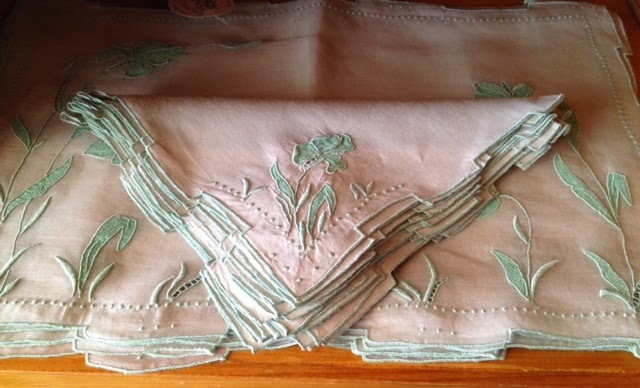 For that oh so elegant Easter repast, please pick up these vintage Marghab appliquéd and embroidered placemats and napkins. 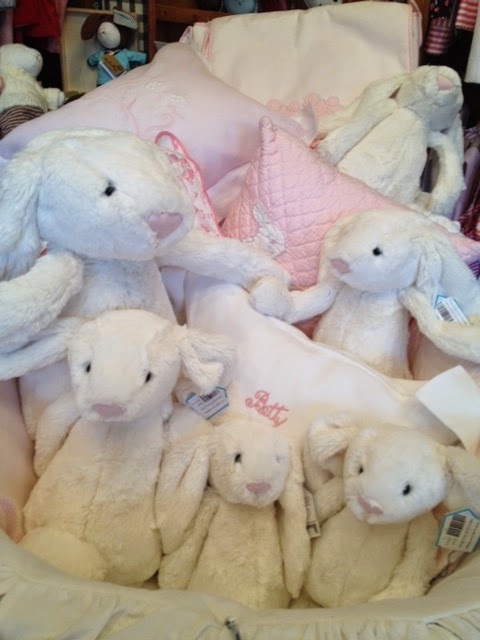 The workmanship is so incredibly beautiful that you must see them up close to even believe how perfect they are ! 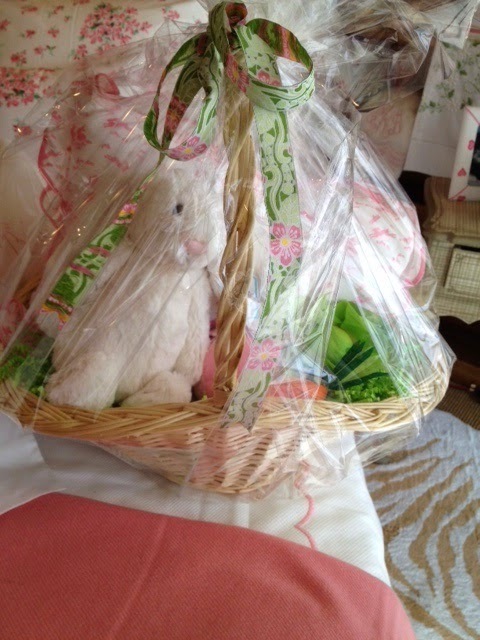 Easter inspiration. You'll be glad you did.